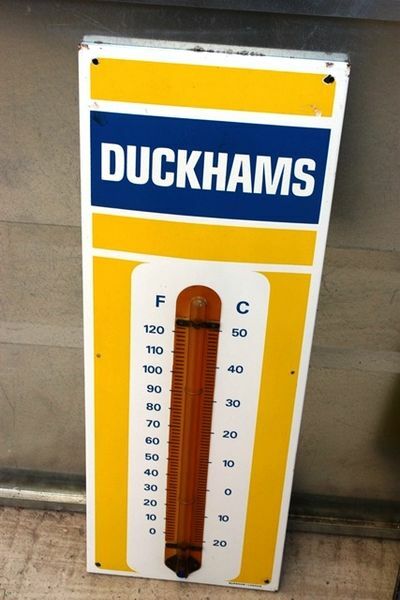 Duckhams Enamel Thermometer. Very clean example. 92cm x 33cm.